Our drive toward the northernmost point of New Zealand was greeted with fairly gloomy weather; apparently, New Zealand had decided to remind us that we’d arrived in early spring. (September showers bring October flowers?) 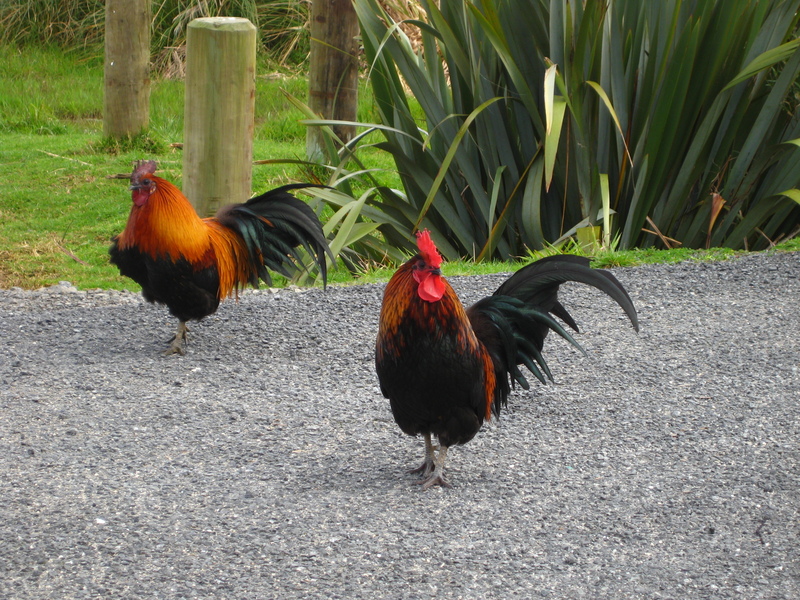 The morning was brightened, though, when we saw about a dozen wild (we assume) roosters hanging out on the side of the road. No, what are YOU doing here? 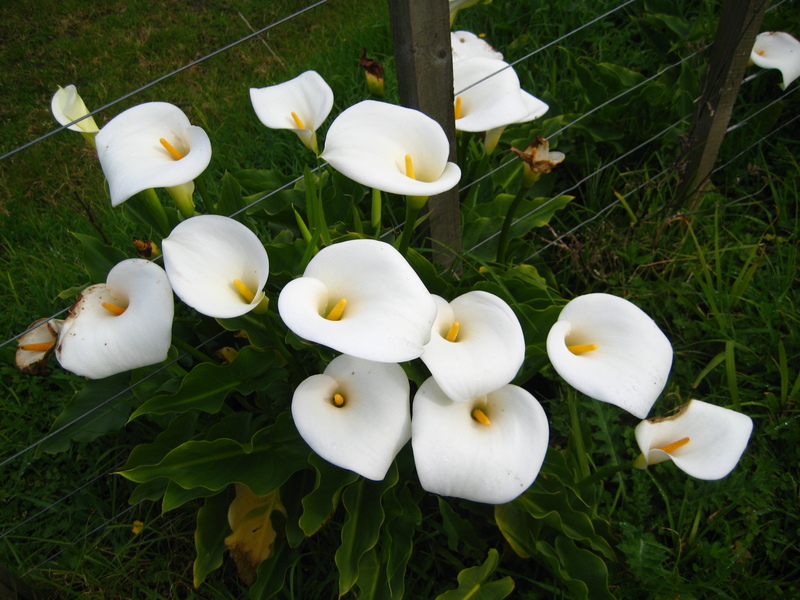 The morning was brightened still further when we discovered a rare treat of Northland: calla lilies, growing wild by the side of the road. They’re apparently as common as weeds here; we’ve seen them many times growing wild along fence lines. With weeds like these, who needs flower boxes? On yet another impromptu stop we saw a huge field full of sheep at pasture in a valley below the road. When we approached for a picture, though, the nearest handful of sheep glanced up at us and fled in panic. The rest of the herd soon followed suit, leading to a full-scale stampede down the slope. 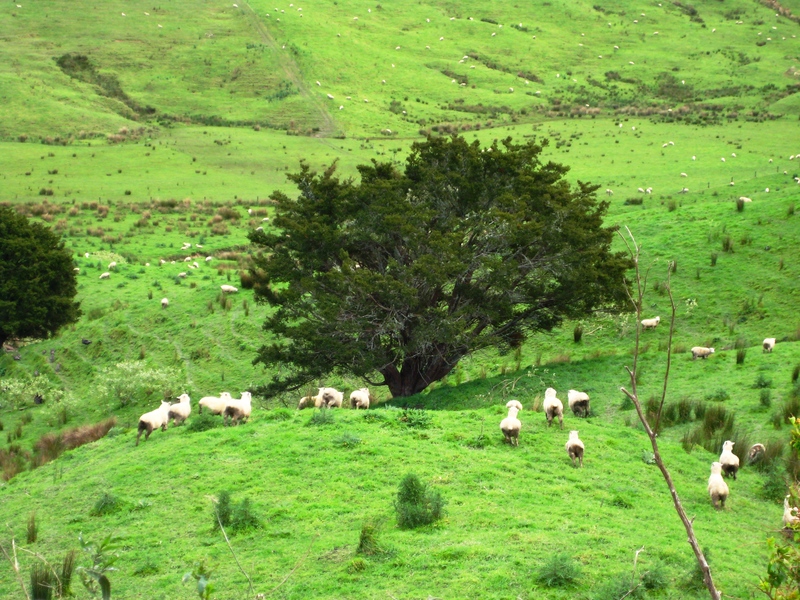 New Zealand: where tourists are tourists and sheep are nervous. We finished our drive up to Ahipara to book our hostel, and then following advice from the information center we headed up to the Karikari Peninsula for the afternoon. Matai Bay is a completely isolated, indescribably beautiful beach; it’s also a government-protected biodiversity area, so there was an impressive array of native plant life. We stayed until near sunset. 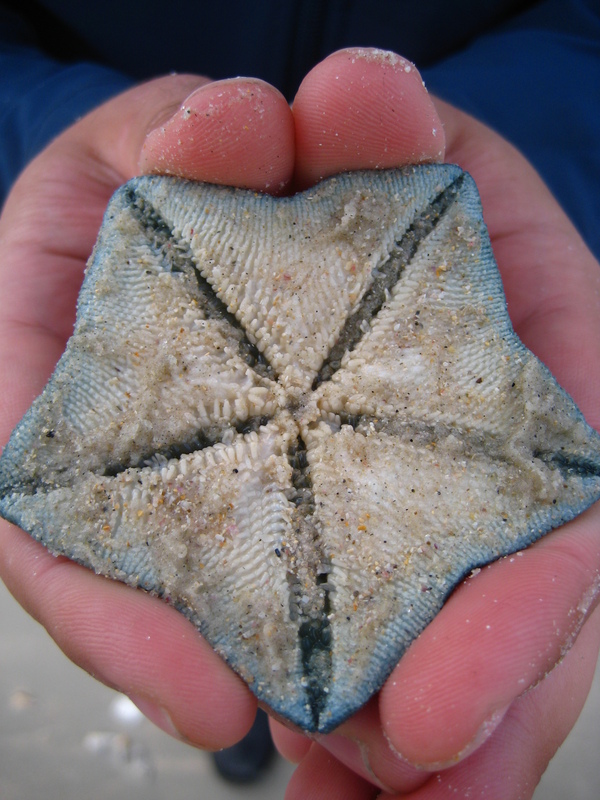 The unspoiled beach had some excellent shells and the like, including this live starfish. 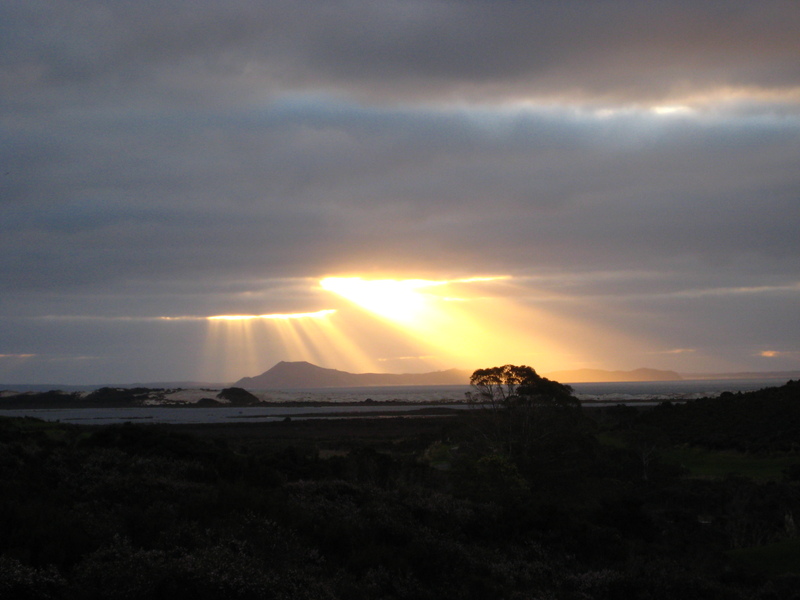 The skies open up over Matai Bay. This entry was posted on September 8, 2008 at 7:19 pm and is filed under Uncategorized. You can follow any responses to this entry through the RSS 2.0 feed. You can leave a response, or trackback from your own site. It’s a flock of sheep, not a herd ;) Glad you guys are having such great adventures!